Passionatemae | Food has a way of bringing people together: Christmas BBQ lunch with the Blacks! So last weekend, we were invited to a Christmas BBQ lunch. It was a really good meal! We thoroughly enjoyed the delicious food, courtesy of Mrs. Cynthia Black. Check out what's cooking on the BBQ pit! How can you resist such a yummy looking dessert! 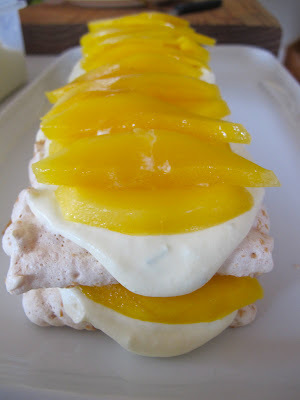 hee the sausage spiral is cute but zomg that mango meringue looks to die for!